Mesa County Libraries are offering qualified Mesa County residents the opportunity to earn an accredited high school diploma and credentialed career certificate through Career Online High School, a program designed for adults who want to advance their education and pursue career training. 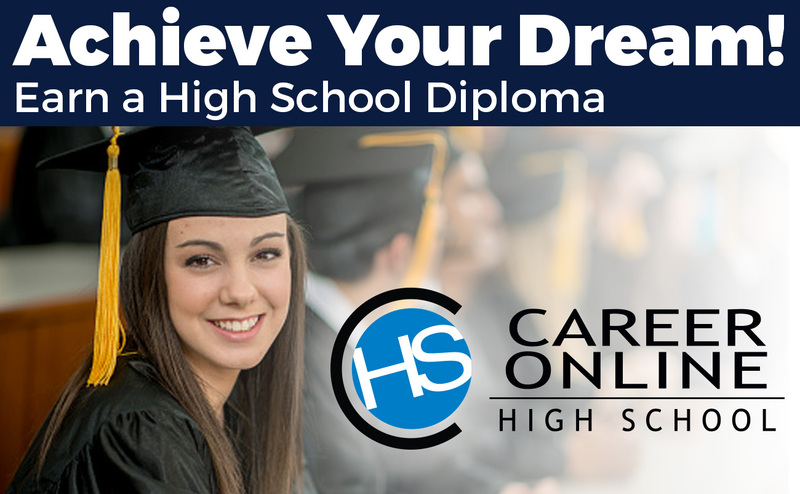 The Career Online High School (COHS) program is specifically designed to re-engage adults into the education system and prepare them for entry into post-secondary career education or the workforce. With assistance from the Colorado State Library, Mesa County Libraries will award up to 30 scholarships for COHS to qualified learners. Prospective students complete an assessment procedure to determine their suitability for the COHS program. Successful applicants will be awarded a scholarship to enroll and continue in COHS. Career Online High School pairs each student with an academic coach who assists with developing an individual career plan, offers ongoing guidance and encouragement, evaluates performance, and connects the learner with resources needed to demonstrate mastery of the course material. Classes are supported by board-certified instructors, and students have 24/7 access to the online learning platform. Coursework begins in one of eight high-growth, high-demand career fields, including child care and education, certified protection officer, commercial driving, food and hospitality, general career preparation, homeland security, office management, and retail customer service. Courses also cover core academic subjects. Students have up to 18 months to complete the program, although some can graduate in as few as six months by transferring in previously earned high school credits. Career Online High School is a product of Gale, a Cengage company, which provides libraries with a variety of learning resources. COHS is accredited by the AdvancED Accreditation Commission, one of the largest accreditation organizations in the United States.